CIA technology used to scan data from cellphones overseas has allegedly been used by the US Marshals Service to spy on phones in the US and Mexico. For over a decade, airborne devices employed by the Central Intelligence Agency in Iraq, Afghanistan, and elsewhere have been shared with the Marshals Service, an agency of the Department of Justice, the Wall Street Journal revealed Tuesday. Research and development of the technology has cost over $100 million, according to the paper’s investigative report. Initial versions of the dirtbox device worked on GSM telephones, used in much of the world, and by AT&T and T-Mobile devices in the US. Later models were reportedly able to track down Verizon and Sprint phones as well. The companies did not comment on the revelations to The Wall Street Journal. Surveillance and intelligence agencies have a history of trying to track and hack cell phones. NSA whistleblower Edward Snowden has revealed that the CIA had been engaged in a “multi-year, sustained effort” to crack security measures on Apple devices. Earlier Snowden revelations documented attempts by the NSA and Britain's GCHQ to hack into the world's largest manufacturer of cell phone SIM cards. 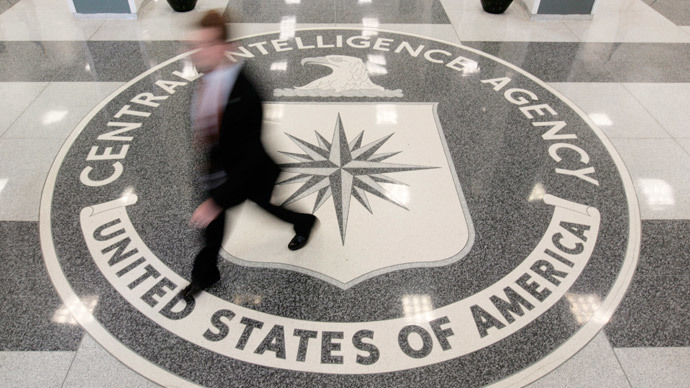 The CIA, which is forbidden from surveillance work inside the US, recently announced it would establish a fifth directorate, dedicated to “digital innovation,” under an ambitious reorganization scheme. While some technologies developed by the CIA “have been lawfully and responsibly shared with other US government agencies,” how those agencies use that technology is not determined by the CIA, an agency spokesman told the paper. Civil liberties groups have raised concerns that the CIA-DOJ phone tracking program could be a “digital dragnet of innocent Americans’ phones,” the paper said.